The self storage industry has grown by leaps and bounds during recent years. Over $3.5 billion dollars was spent on self storage construction during 2017, up from $1 billion in 2015. The safety of this investment, given the right location, is evident in capitalization rates lower than most other real estate investment types. 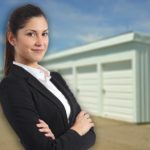 For this reason, many banks are very interested in financing self storage projects. 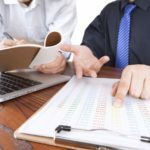 The purpose of this blog is to prepare the borrower with a checklist of items required for a smooth underwriting process. Prepare a comprehensive list of all project costs including: soft costs (i.e. engineering, permitting, etc. 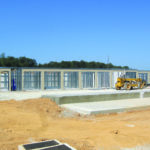 ), land acquisition, site improvements and building construction. Contractor proposals should be included to support your numbers. Be sure to include a 10% contingency allowance for rock or other unforeseen costs. A feasibility study from a reputable industry consultant, such as Investment Real Estate, LLC, will provide the bank with a level of comfort as to the potential success of the project. The study will examine supply and demand, lease-up timeframe and rental rates for your prospective location. 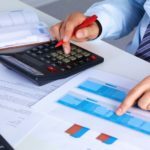 This data will be key to preparing a realistic cash flow analysis and stabilized income statement. A monthly projection of the cash that you expect to flow into and out of your business. The projection should extend through construction, lease-up period and ultimately into stabilized operations (70-95% occupancy depending on feasibility study findings). An income statement including at least three years of stabilized income and expenses. Net operating income (NOI) should support debt service (total annual loan payments of principal and interest) at a minimum of a 1.20x Debt Service Coverage Ratio. Compiling these items prior to meeting with your banker should improve the chances of a speedy loan approval process. Feel free to contact me (Craig) by calling 717-928-2319 or emailing cportner@unioncommunitybank.com with any questions.